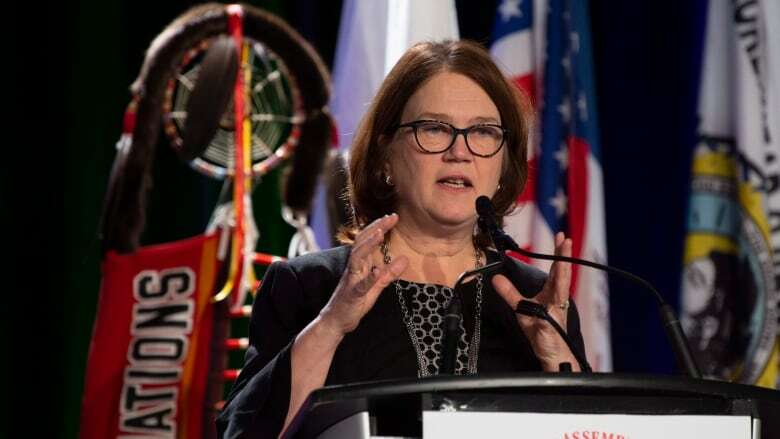 Indigenous Services Minister Jane Philpott says the federal government's proposed legislation on Indigenous child services can be a clarion call across Canada to stop scooping children from families needlessly. "I don't think any of us are naive. We don't think a piece of legislation will all by itself turn the tide on what's going on in this country. But I believe it can be a turning point. I believe it can be a clarion call, a call across the nation to say, 'No more,'" said Philpott. "No more scooping First Nations children from their families and communities, no more tearing apart your families. No more lost children who don't know their language, their culture, their heritage." The federal government announced last week that it plans to introduce legislation on child services co-developed with Indigenous groups in the new year. Prime Minister Justin Trudeau confirmed Tuesday the bill will come in January. Philpott said that legislation, coupled with the work the government is doing with Indigenous people, "can draw a line in the sands of time." The broad strokes of the bill were set over the last year in consultation with Indigenous leaders and families after parents and communities argued that children were not being cared for properly. But chiefs also asked for reassurance that funding would continue through Jordan's Principle, which requires that First Nation children receive equal access to government services regardless whether they live on or off reserves. Philpott said Trudeau understands that the funding available under Jordan's Principle has to continue.